Confirmed. 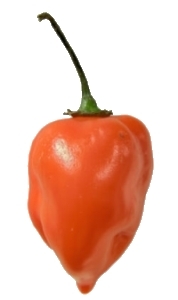 Habanero Chili is HOT. A FLAMING SENSATION it was, when I tasted my home cooked Chili Con Carne today. As usual when making Chili Con Carne, I stopped by the groceries to get some fresh chili’s. Normally I have to spice it up with some chili powder though, otherwise the chili flavor would not be very distinct, as grocery chili’s is most often the “safe” kind that most people can eat without bursting into flames. Well, not the case this time. The wrapped Habanero chili’s had a warning sticker saying “Very hot”, but thats what the always say, I thought. Previous Post TV Series. Late To Catch On, But Passionate On The Rerun.